THE reconfiguration of the world’s gold mining industry took another breath-taking turn today after Barrick Gold proposed an all-stock merger with US gold firm, Newmont Mining the impact of which would be to release $7bn in synergies in Nevada where the two operate mines and processing facilities. From an African gold mining perspective, the proposed merger – the prospect of which first emerged last week – would see Barrick add Ghanaian assets to Barrick’s portfolio in the shape of Newmont’s Ahafo and Akyem mines. Newmont expects to derive a fifth of its anticipated 5.1 million ounces in gold production this year from the African mines assuming they form part of the asset base of a transaction that Barrick CEO, Mark Bristow, described as representing “… a radical and long-overdue restructuring of the gold industry”. 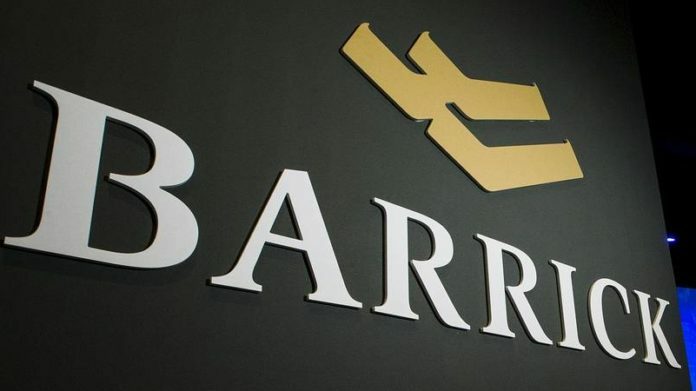 He added in a Barrick statement today that it was a “… transformative shift from short-term survival tactics to the long-term creation of sustainable value”. Newmont CEO, Gary Goldberg, said last year the company was working on the $140m to $180m underground expansion of the Ahafo mine – Subika – will average 150,000 to 200,000 oz a year in output for the first five years of its 10-year life and take the mine’s overall production to between 550,000 to 650,000 oz/year. In a letter to Goldberg, and Noreen Doyle, chairwoman of the Newmont board, Barrick argued that its offer was superior to Newmont’s $14bn swoop on Goldcorp owing to the Nevada synergies. The region would have profitable mining for 20 years and offered 7.5 times the benefits, the letter read. The option of merging with Barrick would also win a more favourable market reation than that given to Newmont takeover announcement Goldcorp in which Newmont shares took a dive. In the letter, signed by Bristow and his chairman, John Thornton, the Canadian miner also said the combined unit would have eight ‘tier one’ gold mines. In terms of the offer, which is hostile, Barrick will offer one share for each 2.57 Newmont shares and match Newmont’s proposed dividend of 56 US cents per share with a proportionally equivalent Barrick dividend of 22 US cents/share. The letter also couched the takeover in friendly terms saying that the best people from both companies would run the combined unit. A single Barrick/Newmont company would attract both resources and generalists funds owing to its sheer quality of asset base and cash flow generative abilities, estimated at some $4.6bn and adjusted EBITDA of $7bn, the authors argued. It, however, warned of expeditiously completing the deal, adding that: “We are confident that after you have considered our proposal, you will agree that our proposal constitutes a ‘Newmont Superior Proposal’. “The time has come to execute on this combination, and further delay simply costs all of our shareholders not only their share of $7bn in value that can be captured, but also an opportunity to own the unrivalled leader and premier gold investment in the market place,” said Thornton and Bristow. “We look forward to hearing from you promptly,” they said. Commenting in a webcast shortly after confirmation Barrick was bidding for Newmont, Bristow named Newmont’s Ahafo and Akyem assets as key growth areas for the combined group which he said could be incorporated by his team “in a heartbeat”. “Newmont’s real growth is in Africa,” he said in response to analyst questions. “We have the experience. We can incorporate that growth in a heartbeat,” said Bristow. “It is an important opportunity to unlock the Ghanian assets. We’ve got a long history of looking at opportunities in Ghana,” he added. During the Nineties, in the early stages of Randgold Resources’ development, Bristow briefly vied with AngloGold for control of Ashanti Goldfields – one of the very few merger and acquisition tussles with which Bristow publicly engaged until now. In the end, he pulled out of the contest leaving AngloGold to merge with Ashanti Goldfields to form the present day AngloGold Ashanti. He then revisited the Ghana mine, Obuasi, with which AngloGold Ashanti had run into operating problems in about 2015. The notion at the time was a possible joint venture, but after conducting a due diligence, Bristow withdrew from the opportunity, concluding later that AngloGold Ashanti had “no social licence to operate”. AngloGold subsequently re-engineering and financed the re-opening of Obuasi after first mothballing it in 2017.